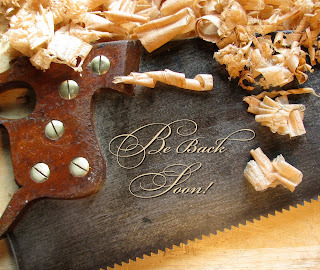 I'm planning to take November and December off from the blog. It's been 3 years, 2 months, and 418 blog posts since I started it and there are things I need to do that I've put off during that time. Vacuuming comes to mind. The dust bunnies have morphed into dust rhinos. Yardwork is another. A machete makes a handy appliance as you navigate the terrain to our front door. And there are other things I've neglected. Like home repairs, cleaning out my business files, balancing my checkbook. Flossing. Plus, I want to put some thought into VC 2.0. Maybe things will look a little different in two months. Maybe I'll write about things other than handtools. Like ball bearings. Or knitting. Who am I kidding. I hate change. Things will look exactly the same as how I left it. Anyhoo. Happy Thanksgiving, Merry Christmas, group hug, and see ya next year! Harvest Days at the Landis Valley Museum is the best traditional, hometown country fair I have ever attended. 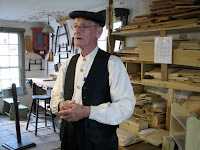 Artisans in period costume showed patrons how things were made by ordinary people a century and a half ago. It's a fantastic place to bring kids, where history walks and talks and shaves wood right in front of them. 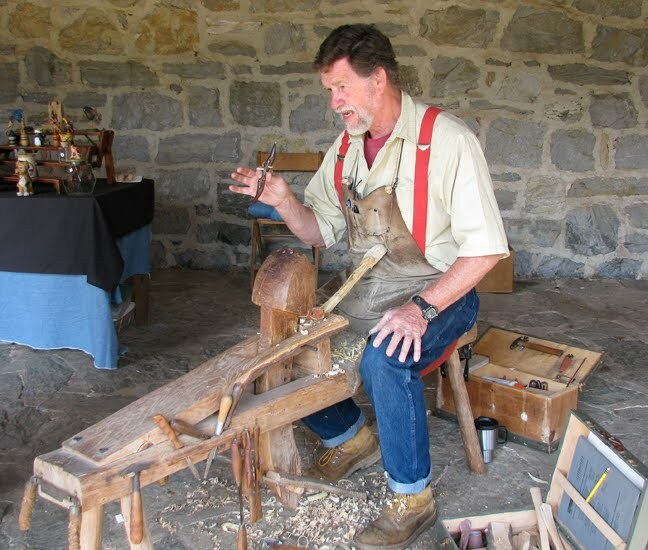 Doug Shaw, who makes hayforks, rakes, scoops, ladles, and shovels, carved spoons at his shaving horse. And Claire Garman, the on-site cabinetmaker, chatted with me in the woodworking shop. 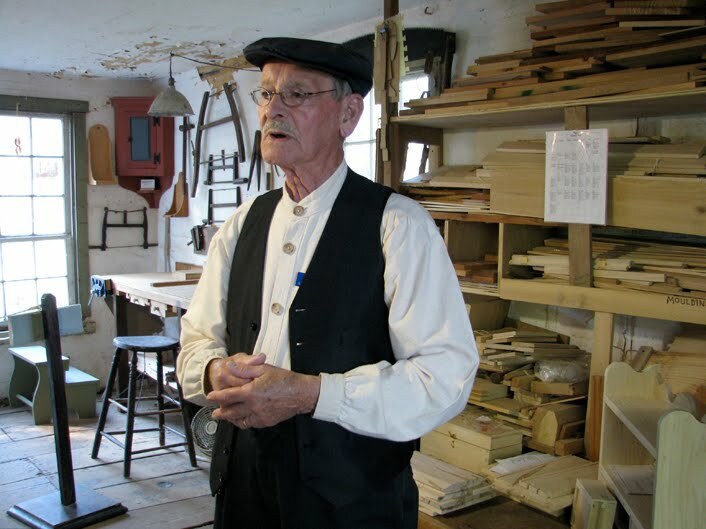 As a young boy, Claire remembers visiting the Landis brothers on their farm and in the very woodworking shop where Claire volunteers toda y. "They were characters" he said of the brothers. "If they needed something, they just built it." The Landis brothers were inventive, resourceful, and lifelong bachelors. 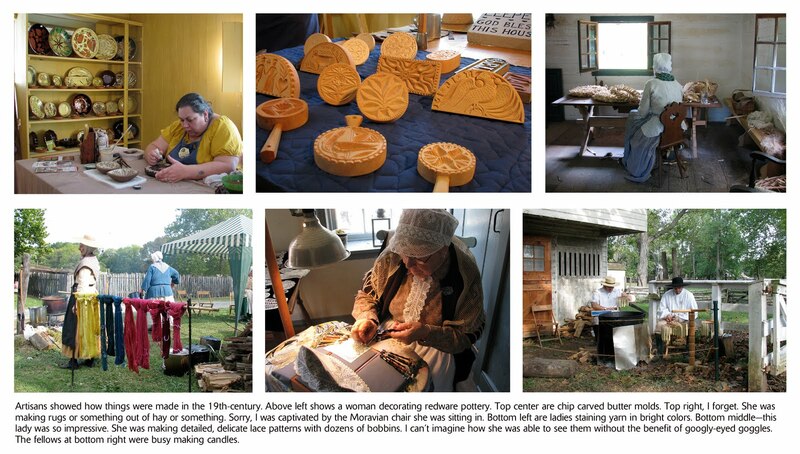 And in 1925, they invited the public into their lives by turning their homestead into a museum. During the two-day event, you can dance to live bluegrass music in the yellow barn and in front of the old hotel, eat homemade apple dumplings, ride in a horse-drawn wagon, watch pies and bread being baked in open hearths (and then sample them!) and tour the historic buildings on the 100-acre farm. I can hardly wait until next year.